Tough guy walks into a bar. It has been a hard day and all he wants is a drink. But the moronic, low-life gimps who think they make the rules don’t want to let him. They swagger towards our hero, tower over him menacingly, and hiss that he just ain’t welcome in this town. Our hero surveys them coolly. “Do you want to do this the easy way or the hard way?” he says. For moronic, low life gimps who think they make the rules, see: Remainers. For our hero, see: Brexiteers. This, essentially is the thesis advanced by the excellent Allister Heath in the Telegraph today, and it’s both a true and an encouraging one. Just as there is no button one could press to leave the EU, there is no magic wand that can undo Brexit. The vote on 23 June 2016 cannot be un-run; the fact that the UK public has never wanted to join a European state cannot be imagined away. 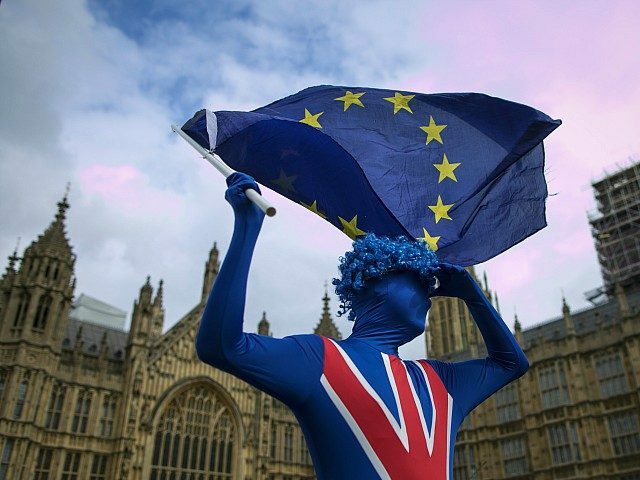 Far from making the whole affair disappear, the looming parliamentary coup against Brexit is turning the referendum into one of the defining moments of the 21st century. A toxic narrative will establish itself: Iraq, the expenses scandal, the financial crisis, and now the Brexit betrayal (not all of this sequence is fair, but that’s not the point). It will be “us versus them”. Indeed. The genie is out of the bottle and it cannot be put back. And it’s worth remembering this, every time the Remainer Establishment contrives yet another devious, mendacious excuse as to why Brexit cannot happen in the honest-to-goodness form Britain voted for in June 2016. …But the fact that they’ve chosen to do it the hard way only tells us about the means, not about the end. The means are fraught with uncertainty, but the end, as in the movie trope, is an absolute given. Those moronic low-life gimps are going to end up lying on the floor with metaphorical chairs broken over their heads, spitting metaphorical teeth from their bloodied mouths. Because they are losing losers whom history has judged to be on the wrong side of the argument.